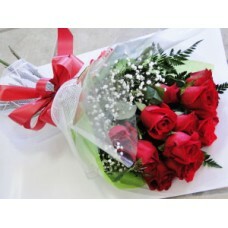 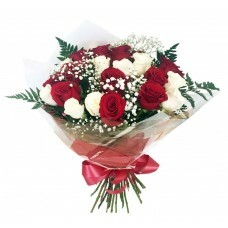 One dozen roses and one dozen white roses are tied..
A dozen roses nicely wrapped with green and baby's.. 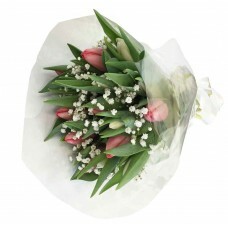 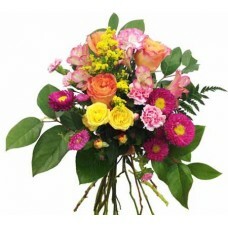 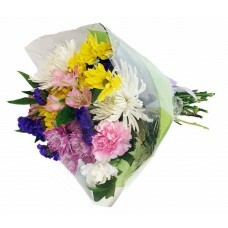 The Mixed Cheerful Bouquet offers bright and cheer.. 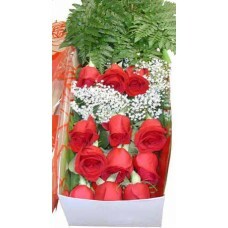 Dozen red roses, gyps and greens arranged in a box..
Fifteen (15) tulips and gyps are wrapped together ..
Spring Yellow Bouquet is a mixture of yellow gerbe..